"Blessed are those who have been persecuted for the sake of righteousness, for theirs is the kingdom of heaven." "Blessed are you when people insult you and persecute you, and falsely say all kinds of evil against you because of ME." On April 24 we remember approximately 1,500,000 Christian Armenians were killed approximately 36,500 days ago- 100 years. Souls have no color and sin has no boundaries. LOVE died on the cross to pay for all of humanity's sins. Our bodies are made from dust, we are all the same, fed daily like every bird from the same source. If you want to be like minded with someone, why not choose GOD'S SON JESUS the CHRIST, the source of all LOVE and LIGHT. You can start to know HIS HEART and LOVE HIM by reading GOD'S WORD in the 4 New Testament chapters of Matthew, Mark, Luke and John. Its a small world afterall. 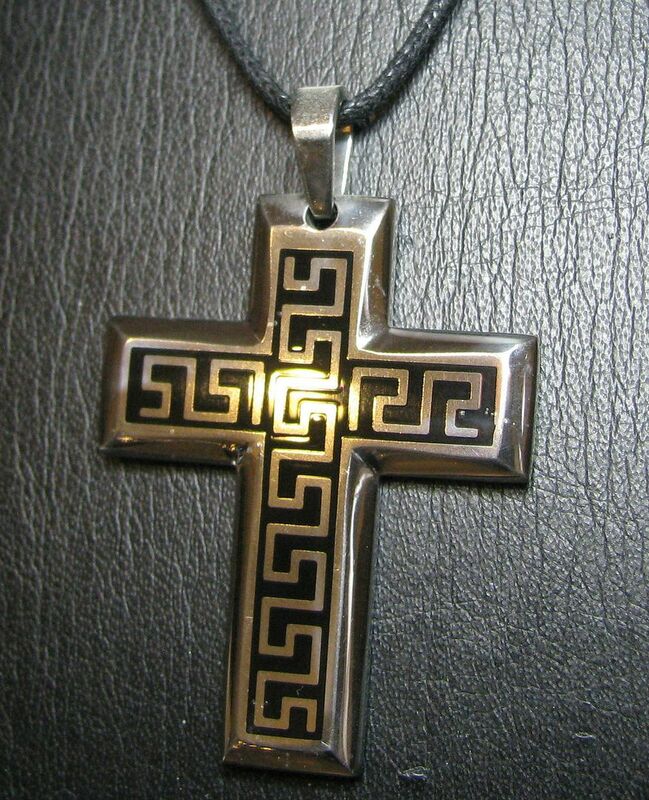 This 2.5" Cross Pendant will be auctioned to the highest bidder at $1 No Reserve. If you want to learn more about the Armenian Genocide read the 1 page link below.